Prepare the tomato sauce by mixing all ingredients in a saucepan over low heat for 15 minutes. Deposited gently meatballs in the sauce and let cook for 15 minutes. Break the eggs and cook for about 5 minutes. 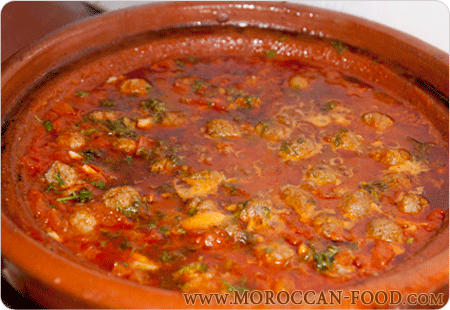 Sprinkle with finely chopped parsley over the tagine.